Developed as part of the Gunpowder Park programme, Bright Sparks was a unique research and development initiative which produced 11 international arts and design-led projects for new ideas about public open space. Funding was provided by Arts Council England and Lee Valley Regional Park Authority. Haring Woods developed Bright Sparks in 2005 in Gunpowder Park as a unique funding model to support artists and designers to carry out research and development projects exploring the physical and social aspects of public open space. The Bright Sparks concept and methodology addressed the lack of R&D opportunities which allowed creative professionals including artists, public realm designers and landscape architects the freedom to develop new ideas without the constraints of producing an end product. 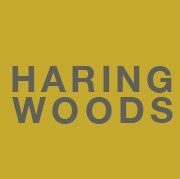 This new model of commissioning has furthered Haring Woods’ practice of using arts and culture to inspire change and influence current perceptions of our public spaces. The first phase of Bright Sparks funded eleven diverse projects with international partnerships between 2006 and 2009. A number of these projects are now being applied to real public realm developments, demonstrating that this new model of commissioning ‘ideas’ can result in informing new developments and instigating debate. Lee Valley Regional Park Authority, in partnership with LANS, provides core funding for Gunpowder Park’s arts, science and nature programme. Media Supporter: Landscape Design Trust, publisher of Green Places (incorporating Landscape Design), Green Places News and Garden Design Journal. Renowned American eco-artists Helen Mayer Harrison and Newton Harrison have been exploring issues associated with climate change and specifically rising sea levels around mainland Britain. Through her varied research and collaboration with a number of different ecological professionals, Theresa Smith developed new ways of enabling busy people in cities to become aware of the rich mix of wildlife that is often an unnoticed part of their daily lives. Inspired by contemporary music notation, Buck’s research explored how to apply the temporal qualities of music composition to a new method of drawing landscapes which would reflect the durational elements of open spaces. This work informed a new MA course at the University of East London. Artist Emma Smith and landscape architect Sadie Stowell begun an ongoing creative investigation into how the rural landscape is perceived and how these perceptions can be recreated or simulated within inner-city environments. Artist John Cockram explores how we can apply human skills and qualities such as ‘protection’, ‘well-being’ and ‘healing’ to the natural world and how the human qualities of ‘care and concern’ change when taken out of a healthcare context and are applied to the environment. Exploring the rapidly evolving possibilities of renewable energy, artist Justin Carter has developed an extensive series of ambitious proposals for functional sculptures which integrate these new technologies in social situations. Michael has continued his research into the urban perimeter of Gunpowder Park, and the friction experienced where urban and natural elements meet. He has played with notions of order and disorder which he has presented through a story book: Fables in Open Space. Eco Media proposes a new exploration of ecosystems as a communications networks that can allow exchanges of ‘viewpoint’ between the human and animal worlds. Artists Terry and Simon developed a participatory arts project aimed at improving access to open spaces for the young people with special needs highlighting issues of navigation, accessibility, choice, and interpretation. Designers and public space specialists, Vitiello and Willcocks investigated how the physical elements of public spaces can determine our perception of a place and influence our emotional reactions. Haring Woods appointed three mentors, Fred Manson, Darryl Newport and Andre Dekker, to bring additional international expertise in the areas of arts and the public realm, regeneration, science and sustainability. Fred is the former Director of Regeneration and Environment at the London Borough of Southwark 1994-2001, where his areas of expertise were economic development, planning, property management, environmental management, regeneration, leisure and community services. He oversaw some of London’s most significant projects, such as Tate Modern, the Millennium Bridge and Greater London Authority headquarters. He is currently Associate Director for the Heatherwick Studio and is a registered architect and a member CABE’s design review panel, a trustee of Open House/Art in the Open and the Foundation for Allergy Information and Research. Darryl is the Director of Sustainability for the University of East London where he has worked for 10 years on a wide range of research initiatives relating to Sustainability within the Built Environment. He manages the Manufactured Aggregate Research Centre (MARC), is a member of Associate Parliamentary Sustainable Waste Group (APSWG), Environmental Technology Research Centre for London (ETRCL), and National Industrial Symbiosis Programme (NISP) London Area. Through Darryl, Bright Sparks has secured co-funding from Knowledge East.